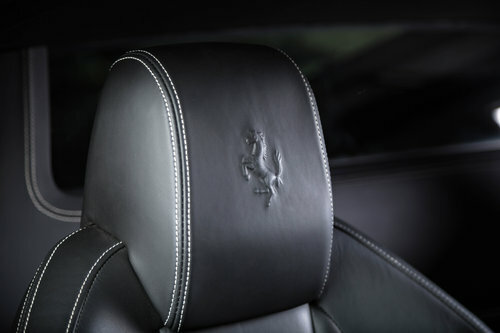 Nero Daytona exterior with Nero leather interior. 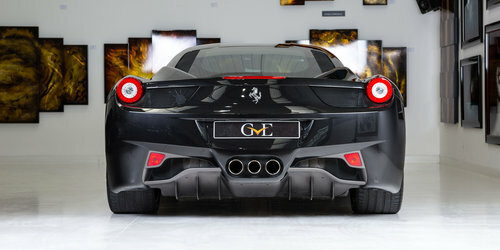 GVE London are delighted to present our gorgeous Ferrari 458 Italia. 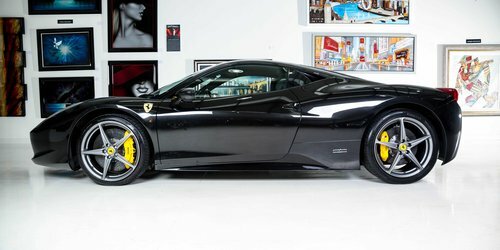 Presented here in a specification to make Batman jealous, this 458 comes with a timeless fully black colourway and presents itself as an excellent opportunity to own, arguably, Ferrari's prettiest creation to date. 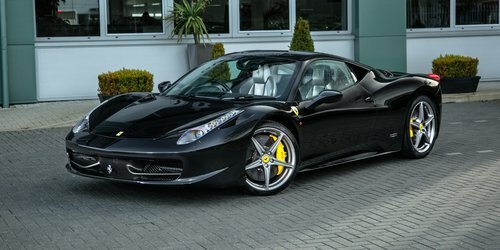 Upgrades - Carbon Fibre Driving Zone, iPod Connectivity, Radio Navigation System + Bluetooth, NavTrak AntiTheft System, Full Electric Seats, White Rev Counter, Coloured Special Stitching, 20" Forged Painted Alloys, Yellow Brake Calipers, Scuderia Shields. Walk around video available upon request. Nationwide delivery available. 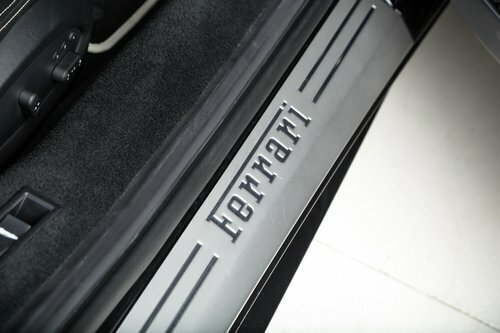 More pictures & Full HD video available on our website.Extended warranties available. 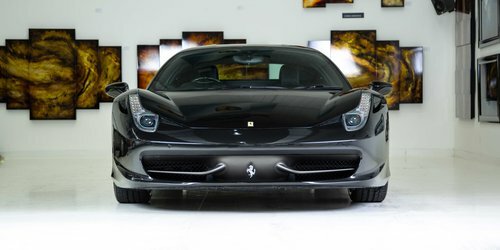 Competitive Finance Packages. Part-exchanges welcome. All major credit/debit cards accepted.